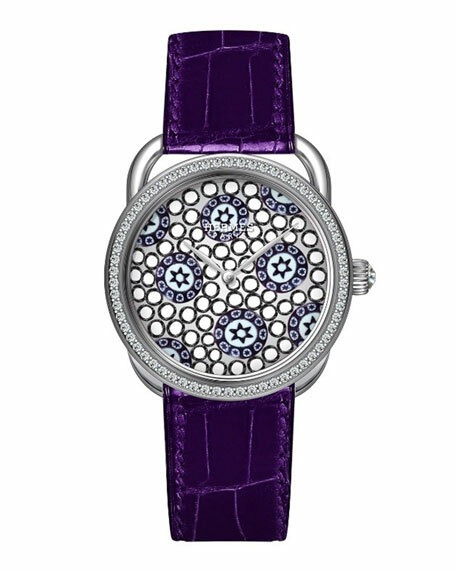 Hermès watch from the Arceau Collection. 18-karat white gold case, 34mm. 0.83 total diamond carat weight. Round dial with millefiori design. For in-store inquiries, use sku #1550032.